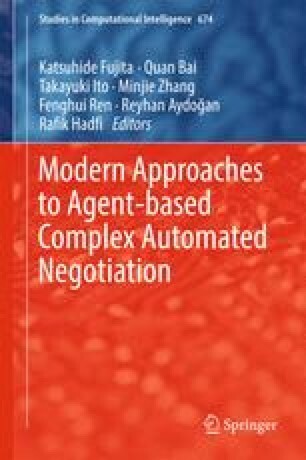 This paper presents a general framework for multilateral turn-taking protocols and two fully specified protocols namely Stacked Alternating Offers Protocol (SAOP) and Alternating Multiple Offers Protocol (AMOP). In SAOP, agents can make a bid, accept the most recent bid or walk way (i.e., end the negotiation without an agreement) when it is their turn. AMOP has two different phases: bidding and voting. The agents make their bid in the bidding phase and vote the underlying bids in the voting phase. Unlike SAOP, AMOP does not support walking away option. In both protocols, negotiation ends when the negotiating agents reach a joint agreement or some deadline criterion applies. The protocols have been evaluated empirically, showing that SAOP outperforms AMOP with the same type of conceder agents in a time-based deadline setting. SAOP was used in the ANAC 2015 competition for automated negotiating agents. This work was supported by the ITEA M2MGrids Project, grant number ITEA141011.